When I was little, I was a binge reader. If I found a book I liked, I'd read everything of its sort I could find. That's why I spent a few months at age seven reading a 50-book collection of folktales. That's why I read something like 20 Jules Verne books the following year. The faux-science bored me to tears, but I pushed through. This tendency persisted into my teenage years. Every time I liked a book, I would go on to read more and more titles from that author. It was not always the best decision either. If someone could give me back the time high school Claudia spent reading that 5th and 6th Kundera novel, I'd invest it in...I don't know, but it would be something a lot less repetitive. With all of these books - not just the tales, the Jules Verne, the Kundera, but most of what I've read in my life - I rarely, if ever, felt the need to reread. 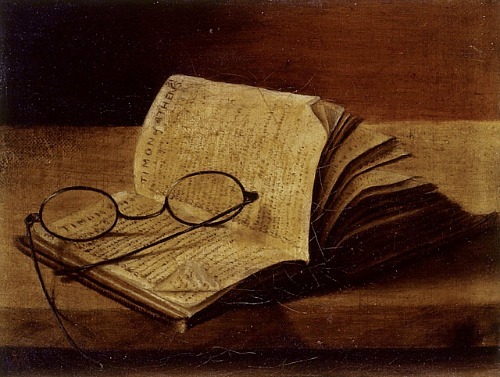 Like most fast readers, I would occasionally worry that I'm not reading well, that there is a proper way to read, which includes deep thinking about every sentence and naturally takes forever. But if there was, I simply didn't have it in me. I did think about what I read while I read it, but my thoughts were as fast-flowing as my reading and only a few of them lingered after the reading. Sometimes after finishing a book that had been thought provoking, I'd feel guilty for wanting to read another book immediately, so I imposed to myself a "mourning" period, in which to Really Think about the book I had just read. The longest time I mourned a book by thinking about it was probably a full day, most of which was comprised of watching TV. There was no turning me into a more grounded reader. The last couple of years something changed. I now read fewer books, significantly fewer books, but spend a lot of time thinking about them and returning to them. It feels weird and it's, I'm afraid, not terribly fit for blogging. I'm pulled between reading new things and lingering almost obsessively over the stuff I already read. I still have things to say about Daniel Deronda. I haven't yet properly reviewed Ulysses, but I spent a lot of time thinking about it this summer and, more recently, circling an unfinished post about it. The other day, I discovered a quote I remembered liking in Wolf Hall was historically inaccurate. I feel like writing analyses of Eminent Victorians. And so on, the list grows. I'm still trying to come to terms with this new way of reading. My reading speed is the same, it's just the lingering on a book after I'm done with it that's new. And since grass is always greener on the other side, especially after you jumped the fence, I wish I could go back to being a fast, untroubled reader. Why am I telling you all this? As a partial excuse for the lack of blogging lately, but mostly as a warning that I might continue to talk about the same set of books for a long, long time. I have hopes that the Literary Others reading event will add some new books to my lingering pile next month. But if not, Ulysses, here I come! Ah, internet, where did the time fly? We're sorry to have bailed on you like that, but September was a bad month for science (and pretty much everything else). But, seeing how today is William Faulkner's birthday and how all of our other plans to celebrate it didn't come through, we figured we could still share something a little unusual with you. Did you know Faulkner could draw? Between 1916 and 1925, William Faulkner contributed with (paid) sketches to the annual of the University of Mississippi, the University's newspaper and the University's humor magazine. We scanned some of them for you from a book called William Faulkner: Early Prose and Poetry (which in the meantime we also found online, so sigh for our manually scanning these pictures). His drawings have a charming Jazz Age-y air about them and it's also quite likely that they were inspired by the style of 19th century artist Aubrey Beardsley (who rocks). Take a look at them below the jump and tell us what you think! You may have noticed a distinct lack of Claudia and Alexis on the blog last week. That was because Claudia was too deep in the throes of Fretting About Life & Grad School to ramble about her reading and Alexis was busy moving house. While the aftereffects of fretting and moving are still being felt, we are back to blogging this week. Alexis has read The Language of Flowers and will talk about it soon(ish) and Claudia will be back discussing Henry James and whatever else strikes her fancy. If everything goes well, we hope to also launch a small side project this week, so keep your fingers crossed for us. But enough about our short-term plans. You might have noticed the pretty picture in our post. It's pretty self-explanatory. We signed up for The Literary Others: An LGBT Reading Event organized by Adam of Roof Beam Reader. We will be reading at least two books for this event (Giovanni's Room and Angels in America), but a lot of the titles on Adam's list appeal to us and we might have to start reading in September to cover more of them. We strongly encourage you to join. If you don't know what to read, there is an excellent list of recommendations on the sign-up post. It includes classics, contemporary fiction, YA, non-fiction, erotica, fantasy. You will definitely find something there to appeal to you. Pick a classic someone else in the club has read from our big review list. Link to their review and offer a quote from their post describing their reaction to the book. What about their post makes you excited to read that classic in particular? As soon as we saw this, we knew exactly which review to choose. It's a review that really stood out the first time we read it, for both its enthusiasm and the wide range of details it managed to cover without losing steam or becoming boring. It's a review that made us really look forward to reading the book it discussed, no small feat considering this is a book we're more than slightly intimidated by. It's Emily's review of Mrs. Dalloway by Virginia Woolf over at Reading While Female. Another thing that runs through this review and makes us trust the recommendation is the impression that the reviewer knows stuff, that their opinions are not only personal, but also well informed. (And this is something more Classic Club members share.) For example, we like the way Emily discusses some of the problematic aspects of this book as well (like the depiction of working-class characters). She does it by mentioning the general background (the problems modernism and early feminism have re: minorities and class), but also giving her own opinion on this particular book. It's a valuable insight we got from reading that post. Mrs. Dalloway is often hailed as one of the modern classics, and after reading it I can absolutely understand why. Woolf's use of style and structure serve to paint a picture of a woman, a truly human woman, complete with flaws and strengths, full of new hopes and failed dreams, and to show the people who come into contact with her throughout the course of a day. Despite the high literary style, it feels honest and uncontrived. The characters feel familiar, like the people you meet every day, and the feelings and thoughts they have could very well be your own. It is a beautiful, luminous, haunting book that will only improve upon rereading. 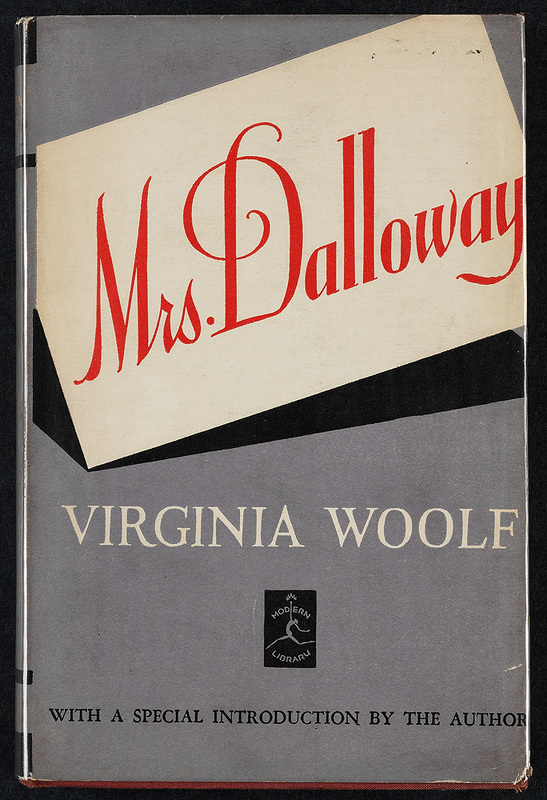 I had a lot of expectations going in to this reading, and I am happy to say that Mrs. Dalloway exceeded them all.